China is largely known for cheap iPhone knockoffs and fake Apple Stores, and now a Chinese businessman is impersonating Steve Jobs himself. And he isn’t using the late Apple co-founder’s likeness to peddle plastic phone shells on the corner market. Lei Jun owns Xiaomi, a multi-billion dollar tech company that is commonly referred to as “the Apple of the East” in China. As you can see in the photo above, Lei rocks a black turtleneck and jeans behind an Apple-like presentation at Xiaomi product unveilings. The fact that he’s selling iPhone look-a-likes certainly helps his falsified persona. And yet Mr. Lei’s biggest believer may be himself. He bounds onto podiums to introduce new cellphones. He proclaims things that may, to many, sound outlandish. Lei’s obsession with Jobs started when he read a book on him in college. 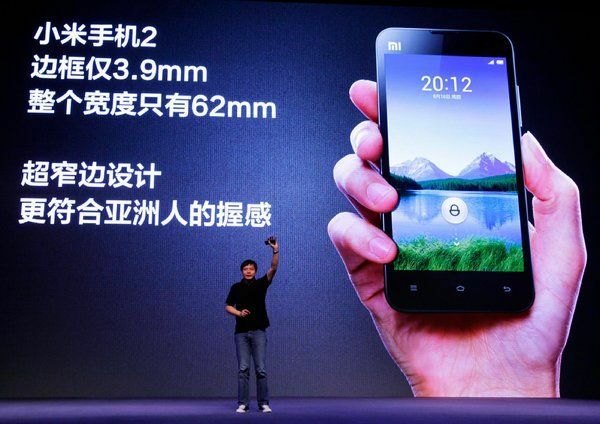 Xiaomi is the quickest company to make $1 billion in China, and their phones look a lot like the iPhone. They say imitation is the sincerest form of flattery, but when you start copying someone’s wardrobe, it gets creepy. Read the whole story at the link below.